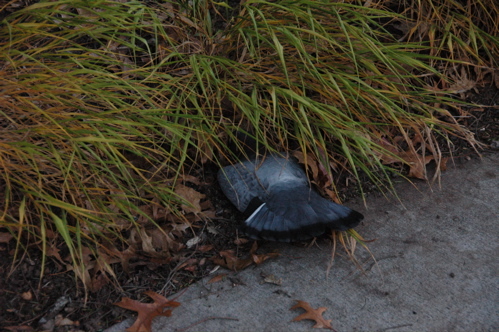 Dead bird — a pigeon? a bluejay fading to gray? — found this morning by Eli.